After sixteen years fighting for their freedom from US jails, and a two year battle against the Home Secretary for visas to visit Britain, René Gonazalez and Gerardo Hernández finally touched down on UK soil in the early hours of Friday 7 July 2016. 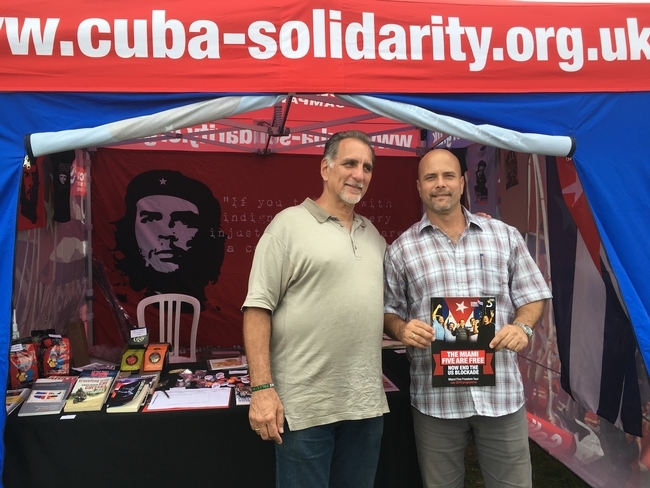 In the short time they were here for the Miami Five Freedom Tour, the two Cuban anti-terrorist fighters travelled more than 2,000 miles to speak at the most prestigious events in the British trade union and labour movement calendar. In just nine days they addressed thousands of people at the Durham Miners’ Gala, the Tolpuddle Martyrs’ Festival, Unite Policy Conference, public rallies in Glasgow, Manchester, Cardiff, and London, and were received by MPs and trade union leaders at parliamentary and trade union receptions. They were accompanied by their wives, Olga Salanueva and Adriana Pérez (currently expecting twins), and daughters 31 year-old Irma González and 18-month old Gema Hernandez. Despite months of planning the long awaited Freedom Tour took place with just 48 hours notice of the entry visas being granted. The Home Office fought to the last moment to delay their entry; only the threat of legal action and hundreds of CSC members contacting their MPs to put pressure on Theresa May, overturned the decision at the last minute. The campaign to free the Miami Five and subsequent struggle for their visas received exceptional support from the British trade union movement, parliamentarians and thousands of CSC supporters all over the country. 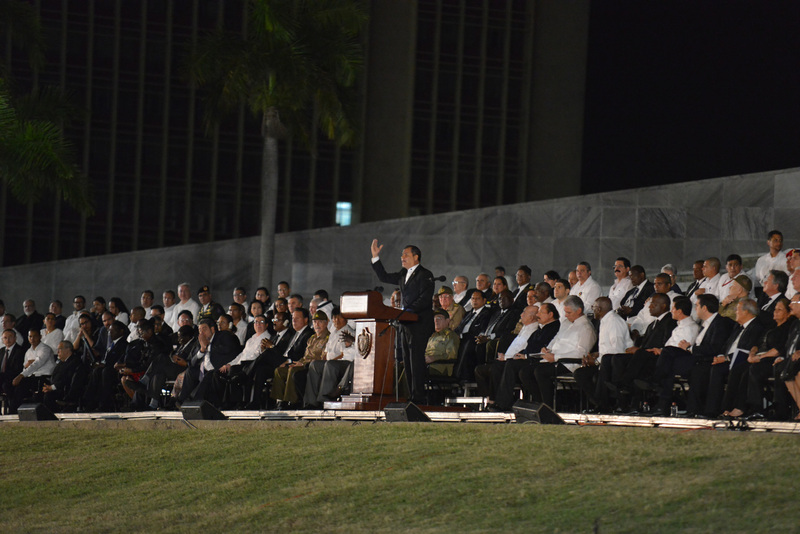 The Miami Five Freedom Tour aimed to ensure that as many people as possible who had supported their fight for justice, written to them in prison and who had played a key role in achieving both their freedom and their visas could hear from the men in person. The Durham Miners’ Gala gave the Miami Five an excellent introduction to British working class culture and trade union solidarity on the first date of the tour. 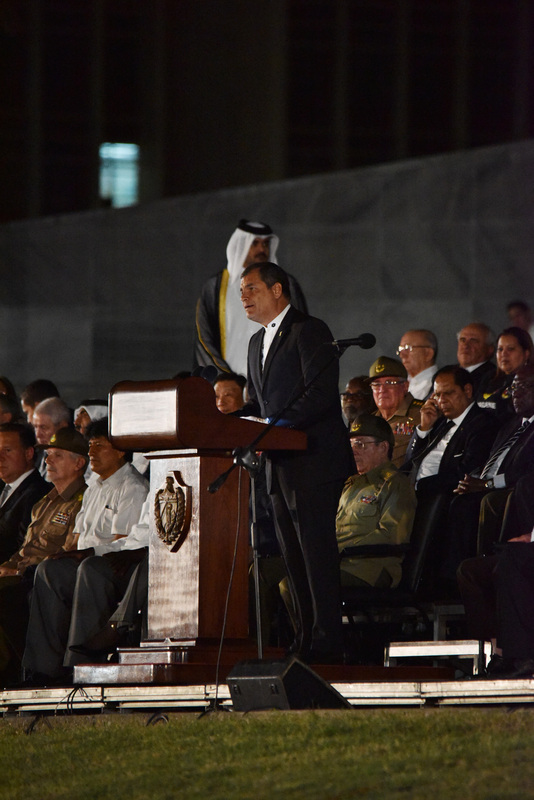 Addressing a crowd of thousands Gerardo thanked British trade union members for their role in securing his freedom. 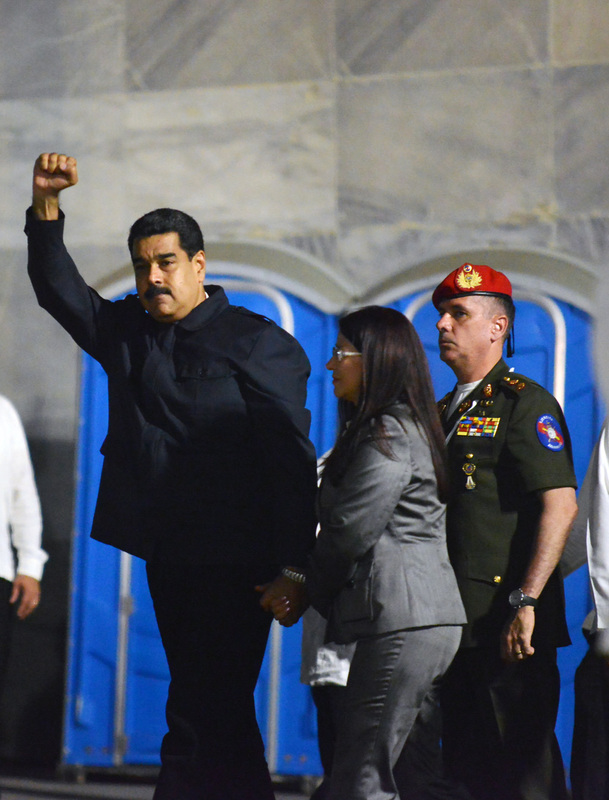 They received a rousing reception for their speeches with captured the mood of the ‘Big Meeting’ which celebrates the mining history of the region: “They got rid of the mines but they could not get rid of the miners”, said René. 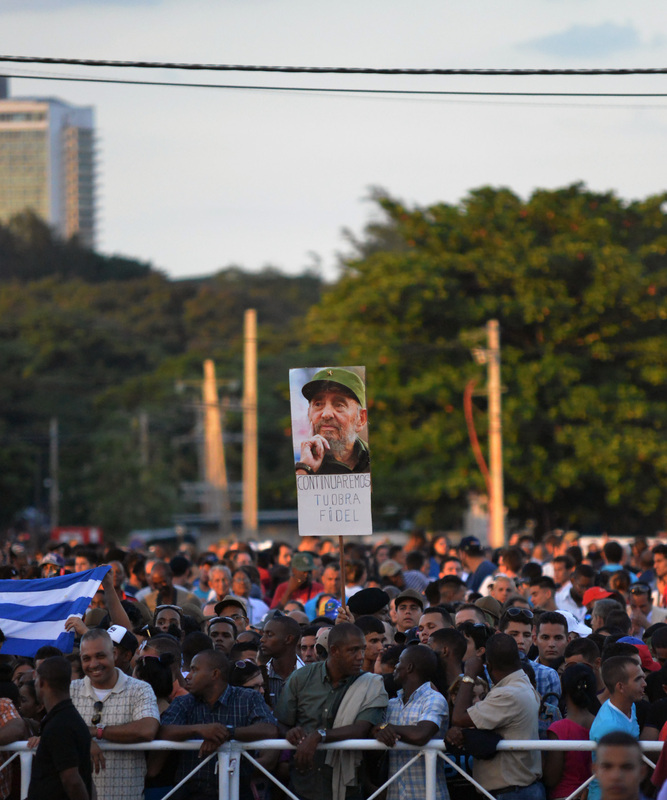 “Your solidarity has never been crushed and that is a lesson for Cuba and the world”, said Gerardo. The men and their families were warmly received at a joint CSC and All Party Parliamentary Group (APPG) on Cuba parliamentary reception in the Jubilee Room in the Houses of Parliament. Parliamentarians from a broad range of parties attended including Labour, Conservatives, SNP, Sinn Fein and SDLP. The reception was well attended by members of both the Commons and the Lords, with guests including Jeremy Corbyn, John McDonnell, Cat Smith, Ian Lavery, Catherine West, Chris Matheson, Richard Burgon, Francie Molloy, Chris Stephens, Mike Weir, Mark Durkan, Baroness Angela Smith, Baroness Hopperand Lord Balfe. Both Jeremy Corbyn and John McDonnell campaigned tirelessly for the freedom for the Miami Five whilst backbench MPs and have continued their support since becoming Leader of the Labour Party and Shadow Chancellor. They were both leading names in the campaign for visas for the Five and their involvement was instrumental in the eleventh hour visa victory. Speaking at the reception, Jeremy Corbyn paid tribute to “all those who campaigned for their freedom and attended the vigils outside the US embassy” over the years, many at which he had spoken. René thanked the parliamentarians for their support and gave credit to the thousands of campaigners involved in the struggle for their freedom. 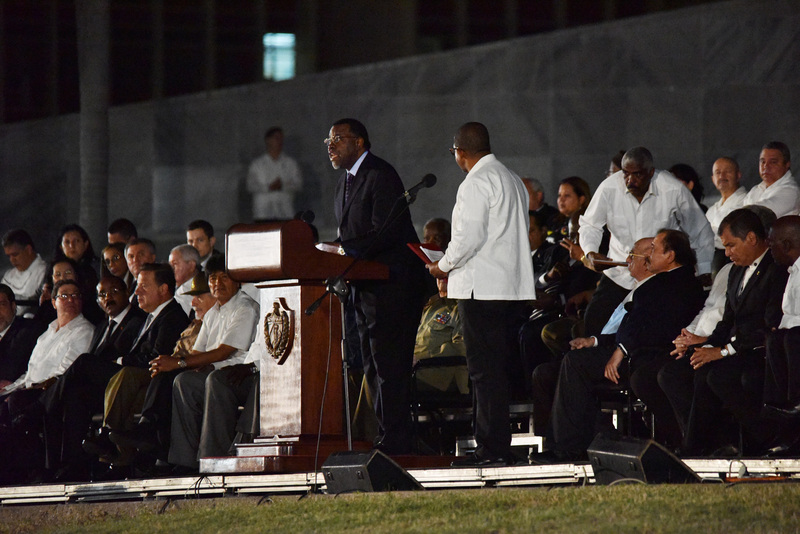 “We never thought that so much support would come from Britain for Cuba – a small island, so far away from here – but it shows that we have so much in common. It only takes a little contact between good human beings to work together for a just cause,” he said. 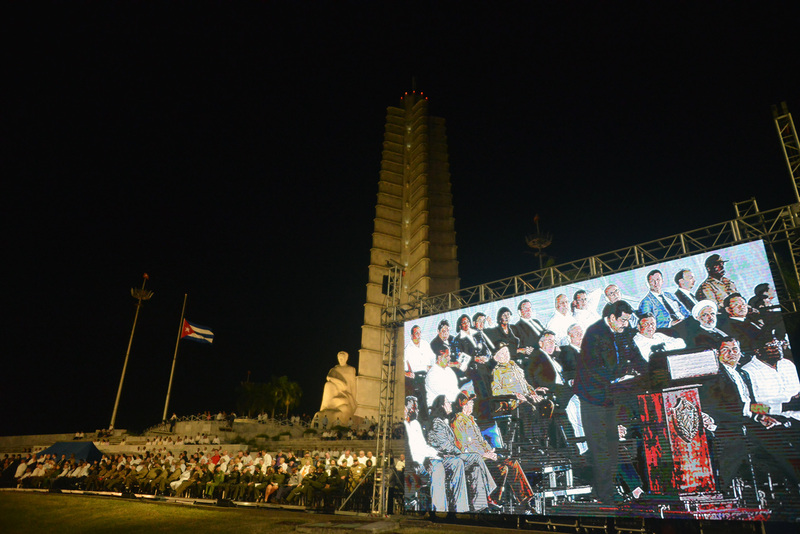 There were many opportunities for trade unionists and activists to meet the Cuban heroes. René and Gerardo attended a trade union welcome reception hosted by the RMT at Maritime House where they met trade union leaders and representatives from across the trade union movement. The Miami Five members were greeted with a huge standing ovation from 900 Unite delegates when they entered the main auditorium of the Brighton Centre for the union’s annual policy conference. Len McCluskey, Unite General Secretary, introduced the heroes and delighted delegates with the news that Adriana, wife of Gerardo, is currently pregnant with twins. Their baby daughter Gema waved from the stage, where the men and their families were hugged by Len McCluskey and Tony Woodhouse, chair of the union’s national executive. 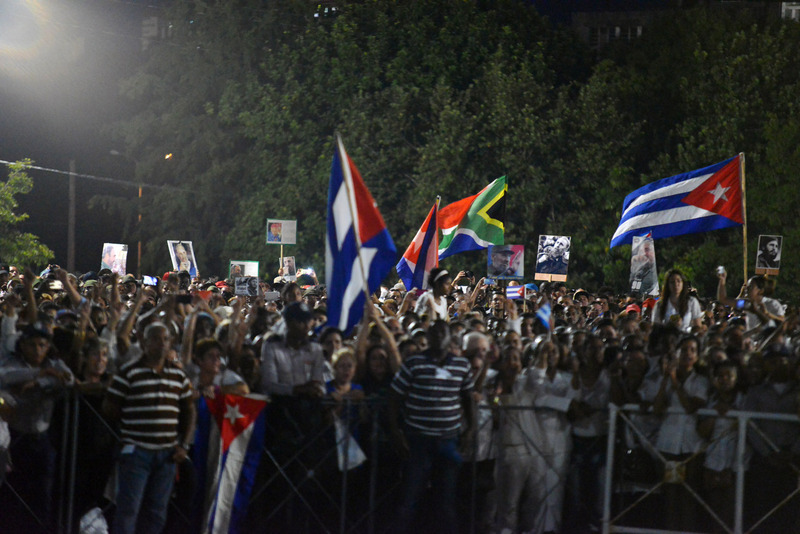 Gema was conceived by IVF whilst Gerardo was still in prison as part of the negotiations in advance of re-establishing relations between the US and Cuba. Gerardo was moved by how international solidarity for the Miami Five had helped give him his daughter: “Every single day, when I look into the eyes of my little girl, I thank you all for this miracle,” he told the hall. “If it wasn’t for Tony Woodley, Len McCluskey and all the Unite members, we wouldn’t be here today”, Gerardo said. Another emotional standing ovation followed their conference speeches and Unite delegates proudly held high specially designed tour posters in a huge visual display of solidarity which read “End the US blockade of Cuba. End the occupation of Guantánamo”. “The first letter that we received in prison was from Britain, from Father Geoff Bottoms”, Gerardo said at the fringe meeting. “And the largest amount of letters that we received in prison was from Britain”, he added. “According to their plan I had to die twice and still serve another 15 years. But you helped to stop those plans”, he said. René González spoke of the how the case of the Five was a manifestation of US aggression towards Cuba at the Glasgow meeting. “The case of the Miami Five is not an isolated story. 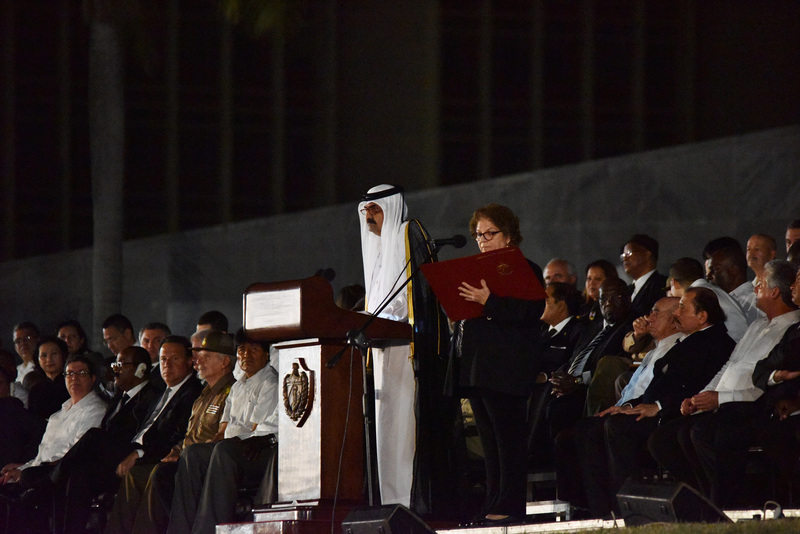 The hatred that the US showed towards us is the same hatred that they have shown towards Cuba, because of Cuba choosing to take its own path”. The Freedom Tour covered as many parts of Britain as possible in one week to give as many as possible an opportunity to hear from the Miami Five heroes, even if it meant a hectic schedule and organising two meetings in one day. At a well attended lunchtime meeting in Cardiff City Hall, René and Gerardo met with Unison Wales representatives and Irish Independent, Maureen O’Sullivan T.D, who flew in especially. “I was really glad to have had the opportunity to have a conversation with them. They were both down-to-earth and inspiring when speaking about their experiences in jail in the U.S. and so totally committed to their socialist principles”, the Irish parliamentarian said. The men also unveiled a plaque at the UNISON Wales/Cymru offices in memory of Cuba solidarity supporter and UNISON officer Roger Bevan on the anniversary of his tragic death in a car accident. 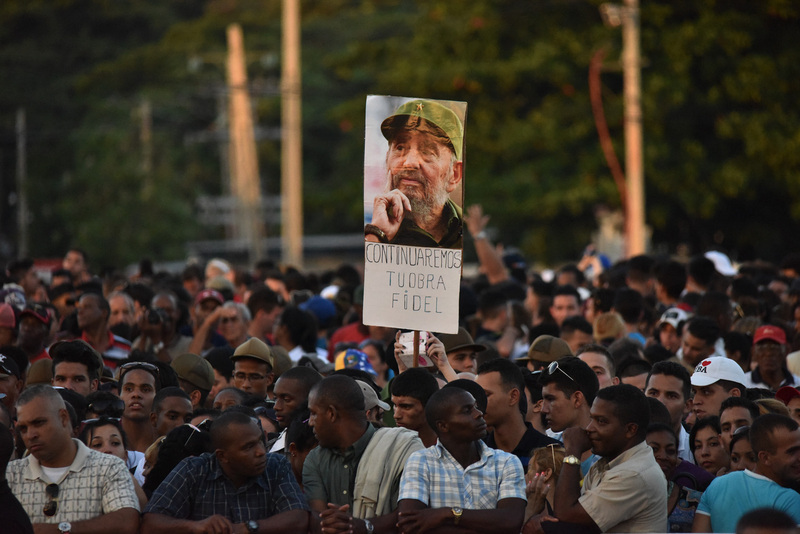 The London and Manchester rallies were accompanied by live Cuban music from Omar Puente and friends adding to a celebratory atmosphere, including a sing along to ‘Hasta Siempre, Comandante’. The Tolpuddle Festival was a fitting end to the tour and an opportunity for René and Gerardo to commemorate heroes of the British trade union movement, by laying a wreath on the grave of James Hammett, the only one of the six Tolpuddle Martyrs to return to the village. At a special reception at the Cuban Ambassador’s residence, with the lawyers responsible for the visa victory, René and Gerardo accepted the invitation from the CSC Executive Committee to become Honorary Presidents of Cuba Solidarity Campaign. CSC is sincerely grateful to the Durham Miners Association, Unite the Union, and South West TUC for making the mens’ appearances at the Gala, Tolpuddle and policy conference possible; to Unison North West and Wales for hosting the meetings in Manchester and Cardiff; to the RMT for hosting the trade union reception; to Cat Smith MP and her staff for hosting the parliamentary reception; to the Marx Memorial Library and Working Class Movement Library for organising tours for the Five and their families; to the legal team at Mansfield Chambers who worked on the visa appeal; and to all the local groups, unions, supporters and volunteers who made this tour possible by organising and supporting meetings. All donors are listed here on our Miami Five Freedom Tour supporters page.